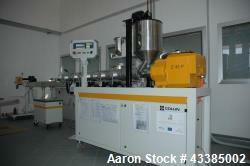 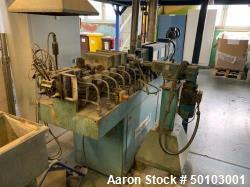 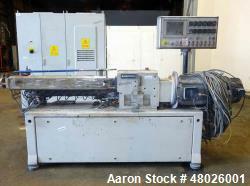 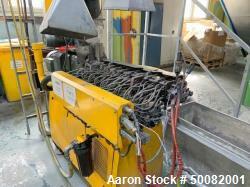 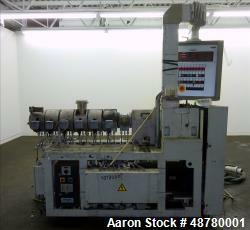 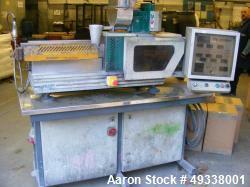 Used-Werner Pfleiderer Twin Screw Extruder. 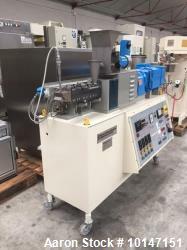 Screw diameter 25 mm, L/D 48 mm. 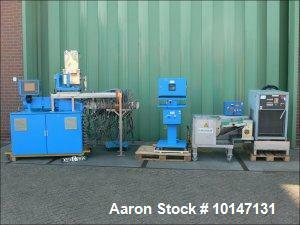 12 Heating zones. 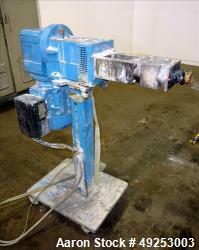 AC motor 26.82 hp (20 kW) to 32.18 hp (24 kW). 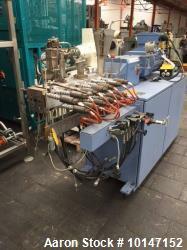 Including (1) Brabender feeder with switchgear and EpcNTL panel, DDW-H31-FW33 / 2-35. 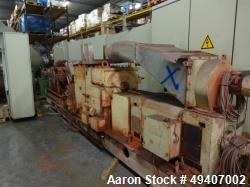 (1) BBA chill roll, CCCL-40/40. 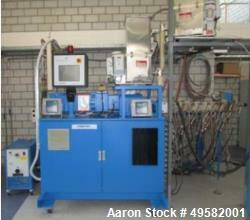 (1) Tool-Temp cool unit, TT-11000, (1) Siemens asynchrony motor, 1PA6133-4HG02-OBBO.